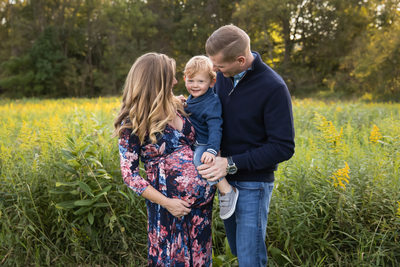 As a Pittsburgh maternity photographer, I take pride in creating beautiful portraits is a fun way to celebrate the impending arrival of your sweet little one. This is our unique chance to document the intense work your body has gone through to create a new life! I usually suggest maternity portraits take place between 32-36 weeks. We will pick a beautiful natural or urban location in Pittsburgh or shoot in your home or my studio. Thinking about booking your maternity portraits with me? Let’s talk about it!